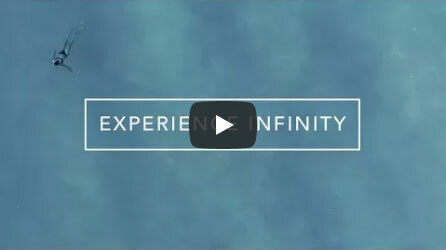 If you have a question about Infinity or one of our products, chances are we've answered it here in our massage chair FAQs. Check them out to find what you need! What makes your chairs better than others? Simple. We are at the forefront of innovation in the massage chair industry. We design and implement the latest and greatest of features into our chairs in order to ensure a one-of-a-kind massage experience. Our attention to detail, quality assurance, and design innovation give us the ability to truly unlimit your wellness. What Infinity chair is best for me? We have built an interactive Find Your Perfect Chair quiz—which you can find under our Shop tab—that will ask you a series of questions to help you find the chair that will best suit your lifestyle. How long will the chair last? Infinity Massage Chairs are manufactured with durable framework and tremendously well-engineered technology in order to ensure longevity. With proper care and occasional maintenance, your chair will provide many years of wellness. In fact, we're so confident in our chairs that we provide a three-year peace of mind warranty, with an optional one- or two-year extended parts warranty available for purchase. The chair seems big, is it going to fit in my house? The dimensions of each chair, both upright and reclined, can be found on the product page under the Specifications tab. Most Infinity chairs are equipped with our innovative space-saving technology, which either moves the chair forward on a track system or on its axis in order to conserve space. Select models have zero-wall space-saving mechanism, which allows you to place the chair as close as 4" from a wall and still fully recline without concern for additional space. Where can I try out different models? Visit our Where to Buy page to find locations near you that sell various models of our chairs. We recommend that you reach out to these local dealers and see what chairs they have on display for you to experience. We ship anywhere in the United States. Our chairs come with complimentary standard curbside delivery, meaning the carrier will deliver the chair just outside your home. We also offer white glove delivery for an additional cost, which includes inside delivery and assembly in the room of your choice (up to two flights of stairs). When can I expect my chair to arrive? If you select our free standard shipping option, you should expect delivery within 7 to 10 business days from the date of your order. If you choose white glove delivery (includes delivery and assembly in the room of your choice), you should expect delivery within 12 to 15 business days (this is due to the more involved nature of white glove assembly). Where are the massage chairs made? Parts are manufactured in China, but much of our chairs' assembly takes place in the United States for quality control purposes. We also customize every massage chair model to cater to our customers' needs, as well as a variety of lifestyles. Our standard warranty comes with all of our chairs and covers the costs of any replaced parts, structural framework, and labor on your chair during the first year at no cost to you. All customers also have the option to add on a one- or two-year extended warranty for parts only at the time of purchase. We offer a 30-day return policy on all Infinity Massage Chairs, which goes into effect from the date of shipment. All items for return should be in their original condition and packaging. Infinity customers are responsible for return freight shipping, as well as a 15% restocking fee. If you cancel after the product has been shipped, you will be charged the cost of the outbound and returned shipping costs. If you cancel before the product is shipped you will be charged a 3% transaction fee. Once we have received and inspected your returned product, Infinity will issue a credit for your total purchase amount, minus both the return shipping and restocking fees. The customer will be responsible for any damages noted upon return, and could incur additional costs. Is assembly required? How difficult is it to assemble? Yes, but we make it quick and simple with pre-assembly of most of the components, our easy-to-follow instruction manuals, and step-by-step assembly tutorial videos. Home assembly typically takes about 20 to 30 minutes. We also recommend you have a buddy on hand to help you move your chair, as they are heavy and are best moved by two people. If you feel you're unable to assemble your Infinity Massage Chair on your own, we offer white glove delivery for an additional fee, which includes assembly in the room of your choice. Yes. Step-by-step instructional videos on how to assemble, use, and maintain your chair can all be found on each chairs' product page under their Video tab. You can also find a full listing in our video library, found under the Support menu. What is the remote like? Our remotes are designed to be simple and intuitive for all users. We have walk-through videos on our remotes located on each chair's product page under the Video tab. You can also find a full listing in our video library, found under the Support menu. What colors do your chairs come in? Our most popular colors are black, brown, and taupe, but we provide a range of color options. Certain chairs have unique multi-color designs that blend into one beautiful look. You can see the color options for each model and how they look on each of their product pages. How often and how long should I use my massage chair? We recommend that new users ease into their massage routine with 10 to 15 minute massage sessions, two to three times per day. As you become increasingly comfortable and familiar with your massage preferences, you can experiment with longer, more frequent massages. We find the sweet spot for regular users is around one 30-minute session every day. Why does my chair hurt? Major discomfort can often be attributed to either overuse or using the chair at too high of an intensity level. We recommend treating your massage chair like any other physical activity by easing into a routine starting with shorter and less intense sessions, with ample breaks in between usages. You can adjust the length, depth, and intensity of your massage in the manual modes on your remote. Once you become more comfortable and familiar with your massage preferences, you can experiment and increase the levels of your usage levels accordingly to find what works best for you. If you take it slow and still experience pain or discomfort, we recommend consulting your physician before continuing use of your massage chair. Yes, you can adjust the airbag pressure in the Manual settings of each chair. Yes, we advise that children aged 10 and up can safely use our massage chairs with appropriate supervision. All of our chairs have body scanning technology that adjusts the massage rollers to the height of the user, allowing users of all shapes and sizes to enjoy a properly aligned massage. The intensity of the massage can also be adjusted for children who would be best suited with gentler massages. What is the difference between each massage chair model? Every Infinity Massage Chair has a unique look and feel, as well as different feature sets that are designed to accommodate a variety of preferences. You can compare different chairs based on their features and specifications through our comparison tool, available on all product pages. Studies have shown that just two 15-minute massage chair sessions per week reduced anxiety and job stress levels, while increasing alertness and general calmness. Additional studies have revealed that massage chair use reduces blood pressure and blood sugars. Finally, massage chairs reduce pain and tension (e.g., minimizing headache symptoms and muscle tension). Research summaries and citations, along with brief informative videos, can be found on our Health Benefits page. Once you customize in manual mode, can you save that program? Currently, the only chairs that allow you to save customized manual programs are the IT-8100 (a retired model) and the Imperial. If there is a problem with the chair, are there available technicians in my area? We have technicians located throughout the United States. We will find the nearest tech to you if you ever have an issue with your massage chair. Can you turn the intensity down on the feet? You can lessen the intensity in the foot unit by lowering the airbag pressure setting, which can be found in the remote's Manual menu. We offer 0% financing for 48 months through Synchrony Financial, which you can apply for instant approval today! Outside of our financing offer, we do not provide monthly payment plans or layaways.